Boost your sales! 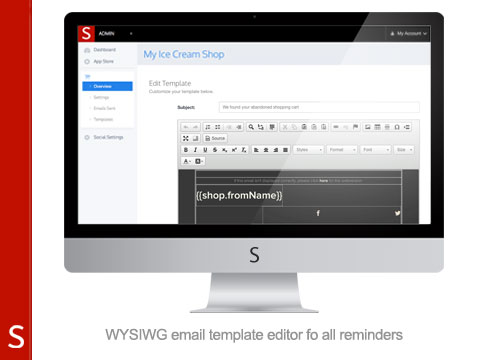 Recover customers that have abandoned their cart. MyAbandonedCart motivates these lost customers to complete their purchase. "MyAbandonedCart recovers on average over $400 a month for Lightspeed customers"
You sell the products your customers love. 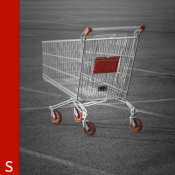 But the reality is that 60-80% of shopping carts are abandoned for a wide variety of reasons. Customers don’t have their payment details ready or they just leave the cart to make a decision at a later time. The App connects to your Lightspeed webshop interface. When a registered customer is logged in to your store, the app will send an email reminder to this customer when he or she leaves something in his or her shopping cart and didn't complete the checkout. Remind your customers 30 minutes, 24 hours or 48 hours after the abandonment of their purchase. This way, you can turn abandoned carts into actual orders. As soon as the customers or guests have submitted their email address, we are able to match it to their shopping cart! No additional clicks needed. 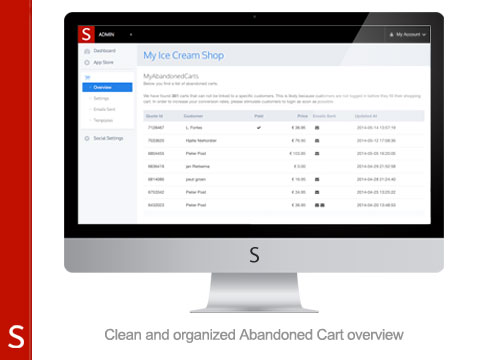 MyAbandonedCart is priced at $12.50 a month with a free 14 day trial period. This low monthly fee will be easily earned back by using the App and turning abandoned carts in actual orders. At Shappz we work daily on developing new and exciting Lightspeed Apps. As merchants ourselves, we know that a steady, yet increasing the flow of orders is a must. That is why we are committed to building Lightspeed Apps that impact your Lightspeed store at a relatively low price. Did you know that we are already serving over 2,000 Lightspeed merchants? We are an open-minded company that is continuously searching for new ideas or improvements. No-reply doesn't exist in our opinion! Feel free to have a look at our website or contact us directly via [email protected].